I have been waiting for you to post blocks 11 and 12 – just to give me courage to start this project! I found another blog a while back but she never got beyond block 10 either so it has me a bit worried. Any hints on 11 and 12? Looking beautiful!! I didn’t realize the setting kit had so many full-sized blocks. What manufacturer issues have you encountered? I didn’t have any with my other Quilt Blocks quilts. I need to get back to my persian plum – I am still only 3 blocks in. I think I will hand quilt this one myself. 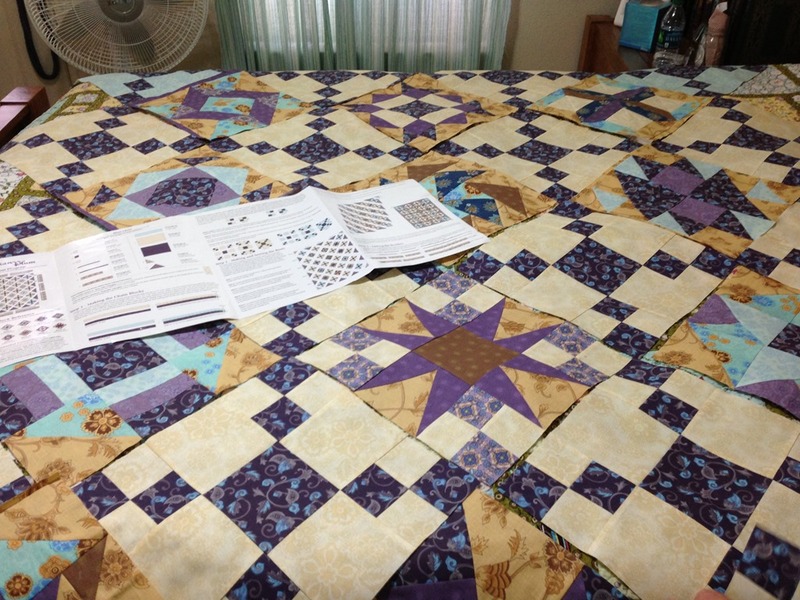 I have a treat to post soon – my amazing Grandma finished hand-quilting and binding my Twisted Tulips quilt…it just looks beyond beautiful. 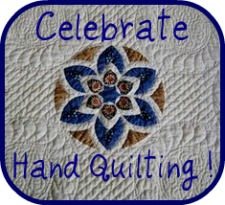 She is a true artist, she hand drew many of the quilting patterns she did and spent months hand-quilting them all. She was a little disappointing that the backing had a pattern on it and we can’t see all her quilting designs from the back so I learned a lesson about patterned backings (even though it wasn’t my choice in this case). I just need to take the photos so stay-tuned! I’m wanting to enlarge to queen size. Got directions today and now I can’t find the 3 yards of fabric I need to add larger borders to enlarge it. Anyone know where I can purchase 3 yards of the same color? I bought a lot extra but to make a bed skirt and other things but I don’t have my blocks put together yet so I can’t get rid of any yet. Maybe later. This is one I want to do this year though.